Friday just called, she’ll be here tomorrow & she’s bringing WINE! 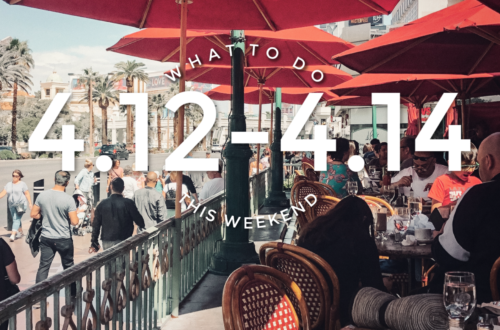 The weekend is just one sleep away and we’ve got plenty of activities you can partake in rain or shine. Devour Indy is happening now through September 2nd and there are a crap ton of restaurants participating, you have no excuses not to eat somewhere in Indy these next few weeks. Scheid Diesel Fest is back for those in town that actually attend, so good luck with that & say hello to “Bottle Girl” for us. 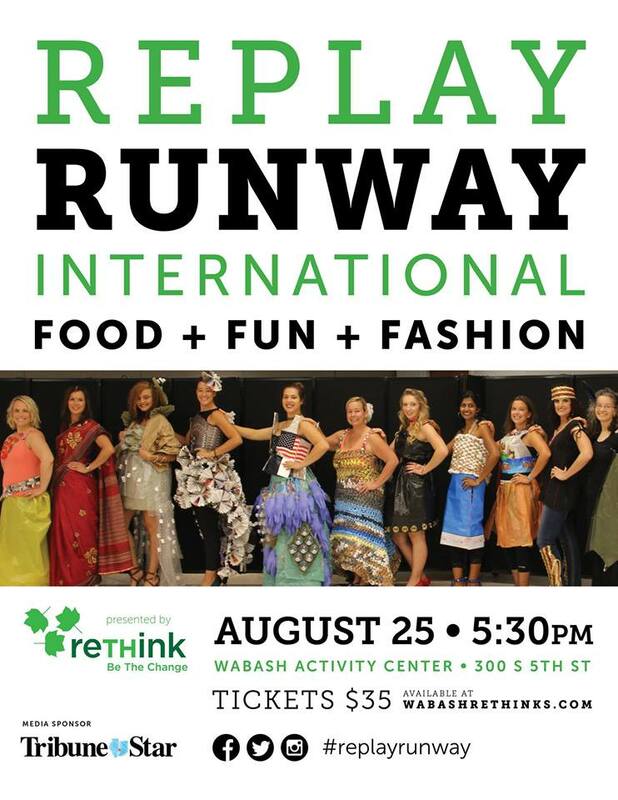 Also, don’t forget Replay Runway is this Saturday so get out and support reThink and check out some awesome costumes made from recyclable materials. 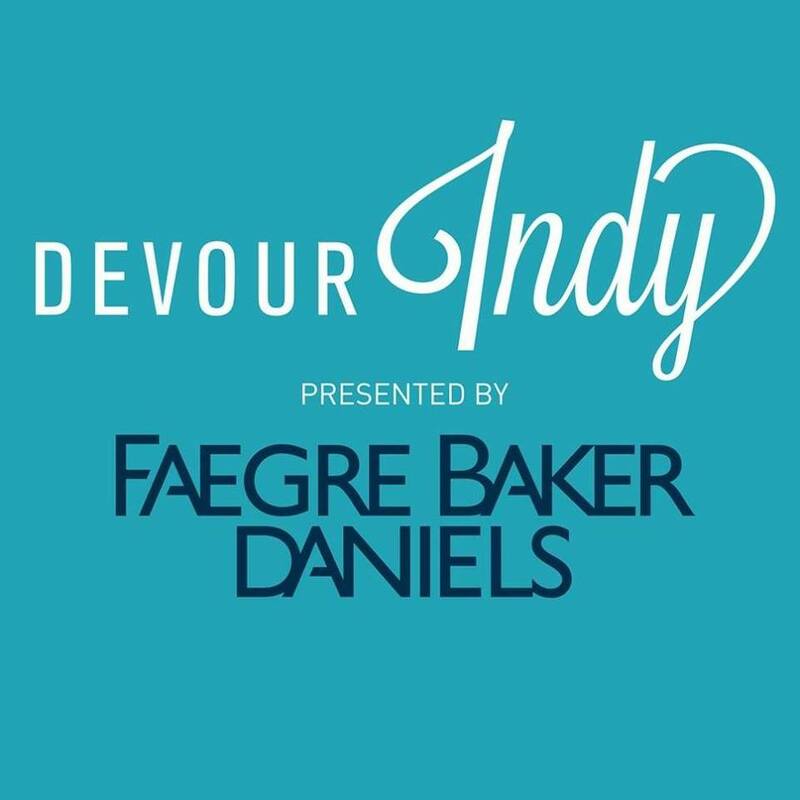 Devour Indy presented by Faegre Baker Daniels is back with more than 150 restaurants in the Greater Indianapolis area – serving up exclusive, value priced menus for Devour Indy 2018 Summerfest. Take advantage of these tasty menus from Monday, August 20 until Sunday, September 2. Participating restaurants will flaunt their three-course menus – showing diners why Indianapolis has been named the “Most Underrated Food City in the U.S” by Zagat. Devour Indy welcomes more than 15 new restaurants to the mix, along with traditional favorites and an additional dozen hotels offering exclusive Devour Indy room rates. Help them raise much needed support for Riley kids and their families! Devour Indy and all participating restaurants are proud to support Riley Children’s Foundation. Riley Children’s Foundation is the fundraising arm for Riley Hospital for Children. 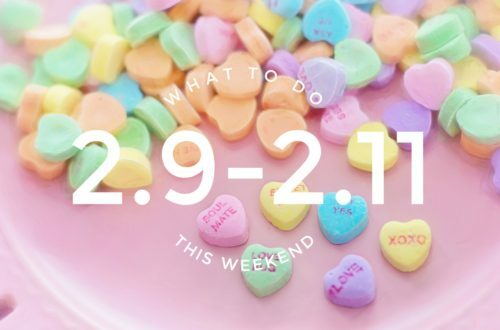 Visit www.devourindy.com to plan your two weeks of Devour Indy today! You’ve heard the stories, you’ve seen the photos, now is the time to reserve your table for an evening of dancing, gourmet dining, and excellent auction opoortunities at The Red Gala! 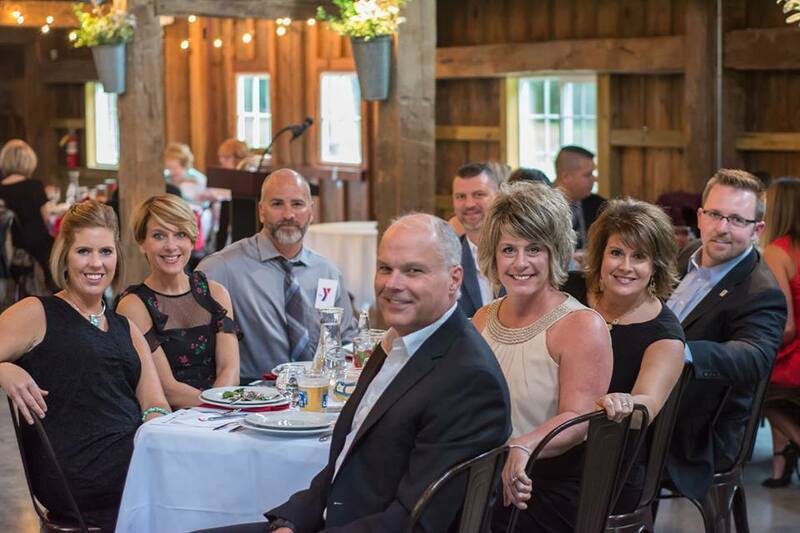 The Red Gala takes place on Friday, August 24th from 6:00-10:00pm at The Red Barn at Sycamore Farm. The evening will feature live performances by Brandon and Mallory Halleck, with emcee and auctioneer 100.7 DJ Kevin Lambert. All proceeds from the evening benefit the YMCA and the valuable programs and services we provide the Wabash Valley. Those interested in premium seating with the best view of the performances, can reserve a table for $600 (each table seats 8). There are limited tables at this price – so reserve early! These tables also provide sponsors the opportunity to showcase their businesses with signage. Sponsors will receive special mention at the event as well as social media mentions as a thank you from the YMCA for your support. Outer tables run $400 (for a table of 8). Individual tickets can also be purchased for $50/piece. Tickets include a delicious three-course meal prepared by Terre Haute’s premier Chef Kris Kraut of The Butler’s Pantry, and entertainment by The Dance Studio; PLUS access to one of the best auctions in town! Drinks will be available for purchase at the Red Barn bar top. Contact Erin Gregory, Development and Communications Director at the YMCA, to reserve your seat today – egregory@ymcaswv.org. The YMCA also greatly accepts all donations made to our live and silent auction. Join the Terre Haute Brewing Company for a night of art and fun to benefit CODA! 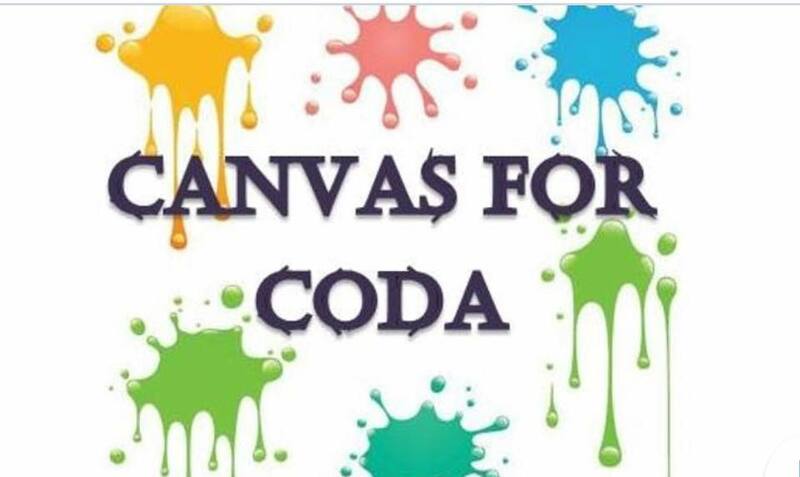 Canvas for Coda ticket purchase includes a canvas, paint, brushes, access to an easel, and instruction to create your own painting. You can order drinks and/or food from the Brewing Co.’s great menu selection, if you wish! There is a limit of 50 people, so get your tickets while you can!! The event takes place from 6pm-9pm. 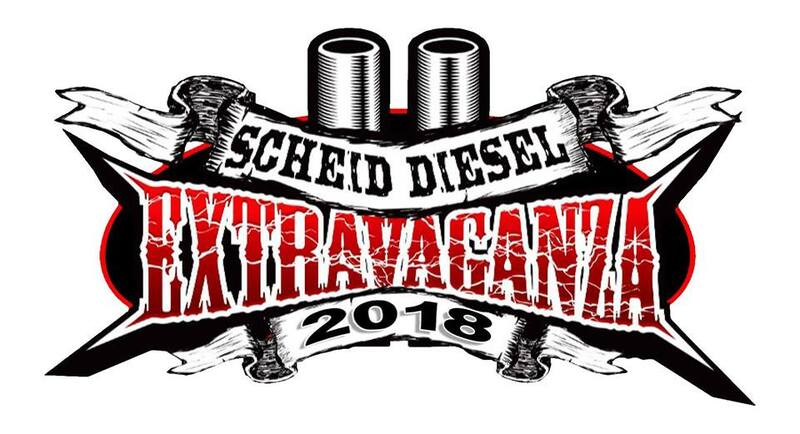 It’s about that time to get out of town, the Scheid Diesel Extravaganza is back this weekend so smoke will be taking over our city. August 24-26 in Terre Haute, Indiana at the Wabash Valley Fairgrounds. Three days filled with everything the Diesel Enthusiasts WILL NOT want to miss! Lucas Oil Pulling-League Truck & Tractor Pulling, Outlaw Diesel Super Series Diesel Drag Racing, Show N Shine Contest, Dyno Contest, Manufacturer Midway, Kiddie Tractor Pull presented by Racers For Christ and much more! Buy your tickets online or at the gate! The Wabash Valley Fairgrounds & Crossroads Dragway is conveniently located 1 mile south of I-70 on US Hwy 41. The address is 3901 South US Hwy 41, Terre Haute, IN 47802. For quick updates or information regarding our event, visit our Facebook Page, visit our website www.scheiddiesel.com, or sign up for our newsletter. Join Angela this Friday from 6-8pm at Charm Schoool. 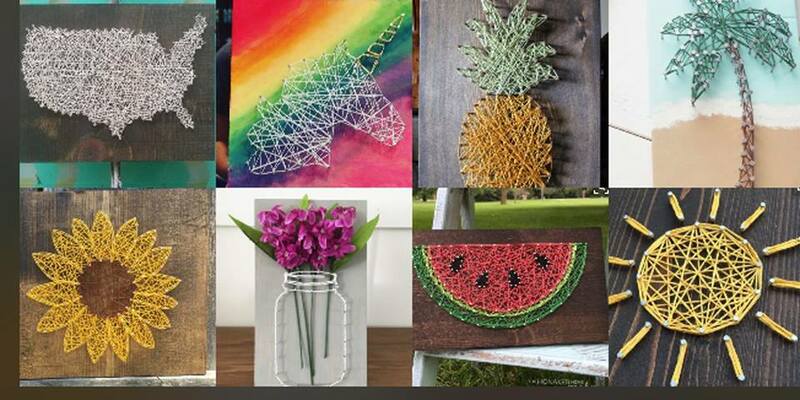 She will be showing you how to create Summer String Art. Choose from Indiana, United States, unicorn, sun, sunflower, mason jar with flowers, watermelon, palm tree, flamingo or pineapple. Please make your selection at checkout so they can plan for supplies accordingly. www.CharmSchoolTH.com Listen to Gary Applegate this Friday night at 8pm. He will be playing in the Velvet Room at the Terre Haute Brewing Company. Who wouldn’t salivate at the opportunity to eat the finest wings in central Indiana for half price? 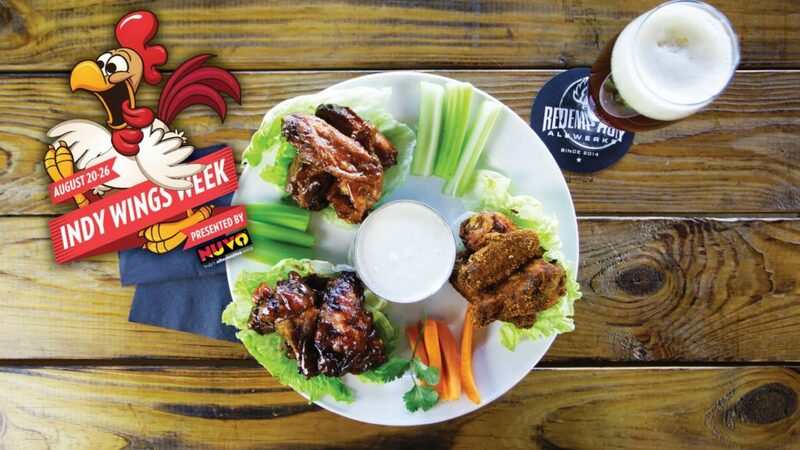 It’s Indy Wings Week! 20 percent of restaurant registration fees and sponsorship money will be donated to Indy nonprofit Second Helpings! 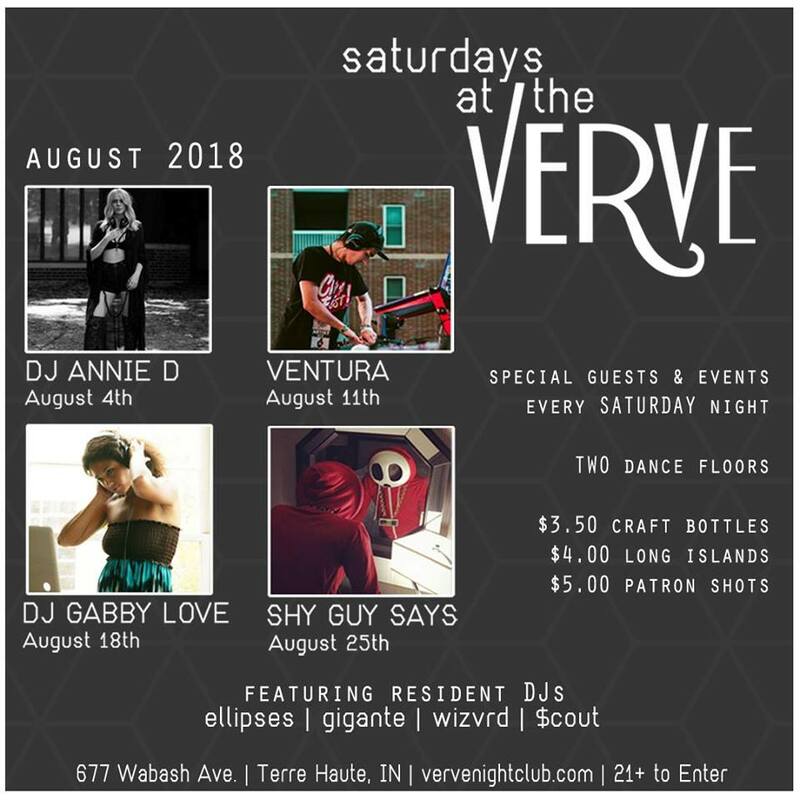 Union Jack August kicks off Saturdays at the Verve with guest DJs from all over the midwest! Make sure you check out these shows and spread the word by sharing! August 25th: Shy Guy Says Come enjoy sips & scoops at a sunset hayride around our beautiful farm on the weekend of August’s full moon! Soak up the last of these summer nights under the big Indiana sky. 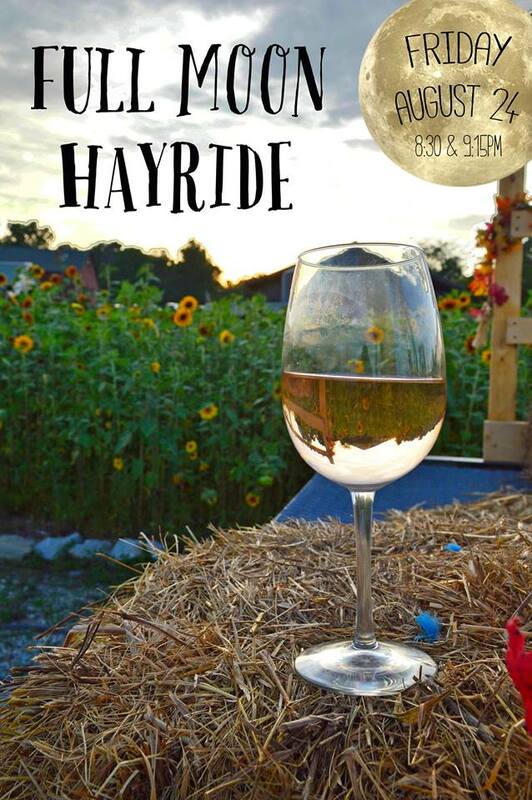 Traders Point Creamery in Zionsville is hosting a Full Moon Hayride. Beer, wine, and ice cream available (additional) to take on your ride! Perfect for date night, friends’ outing, or family time! 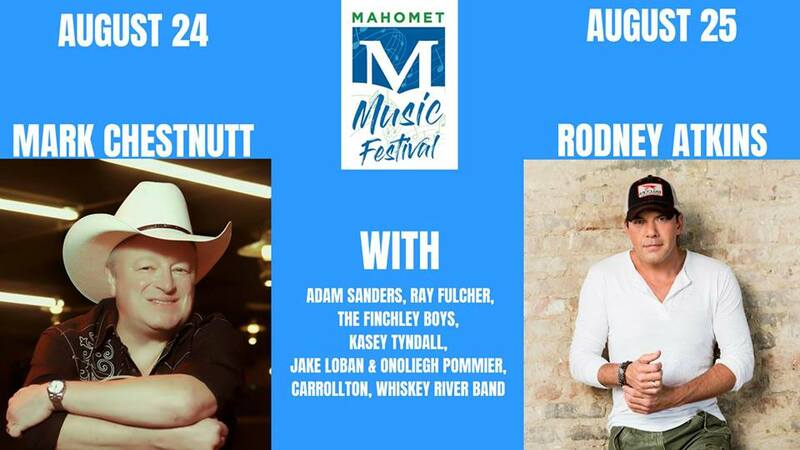 Conveniently located along Main Street in Downtown Mahomet, Illinois, the Mahomet Music Festival is an annual tradition that brings family-friendly fun to our community each year. Admission to the festival is FREE and includes all music performances. The festival runs Friday 5-11pm and Saturday 11-11pm. Food, beverages, vendor items and special attractions (i.e. carnival rides) do have an associated cost with them. There is seating in various locations throughout the festival (i.e. food court, American Legion, Masonic Hall, and Lions Tent). Bring lawn chair or blanket for seating on the lawn in front of the stage. FREE Parking with Shuttle Service is available in the grassy area by Mahomet IGA on Eastwood Drive. Additional parking can be found on most streets, excluding the areas of the festival. Consider carpooling, if you are coming with a group. Created in 1975, the Urbana Sweetcorn Festival is Champaign County’s largest FREE festival! 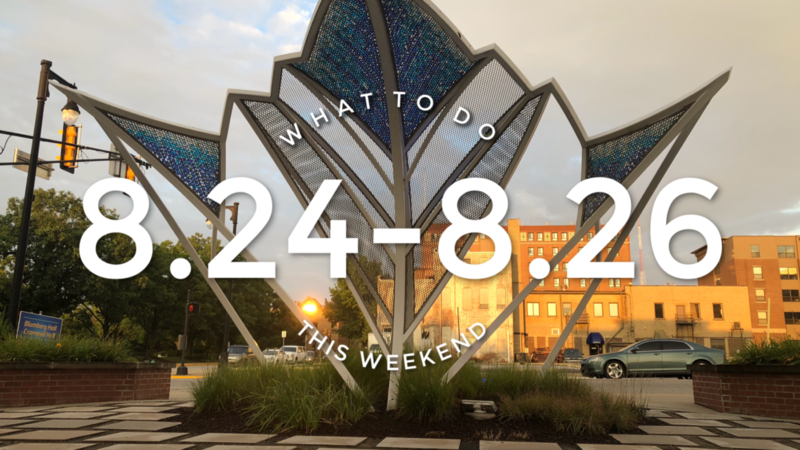 Enjoy the end of summer with music, food, local beer, and fun family activities! The first Urbana Sweetcorn Festival was held in August 1975 in the parking lot at Main & Race Streets in downtown Urbana. 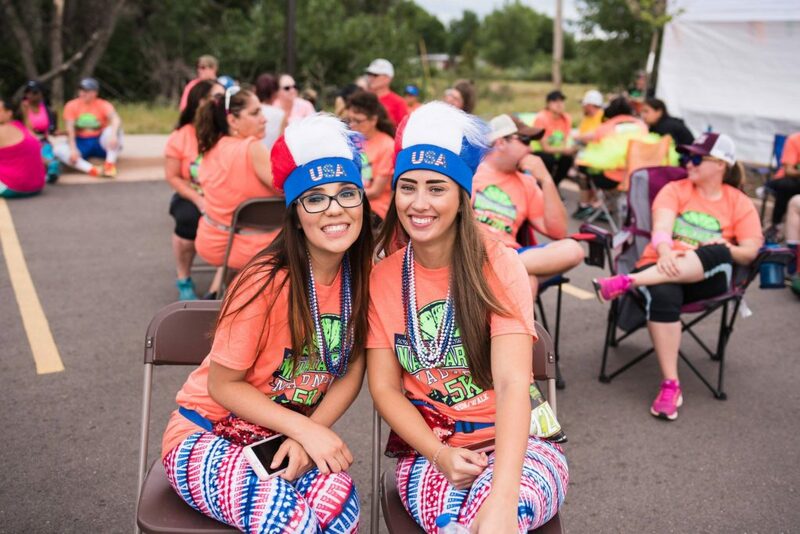 It was a community event put on by the employees of local business Busey Bank. The Urbana Business Association is now responsible for the planning of the festival, over the years adding a local car show, an expanded family area, live music on multiple stages, food, vendors, and beer all in the heart of downtown Urbana. LOCAL SWEET CORN. LOCAL FOOD. LOCAL ENTERTAINMENT. LOCAL VENDORS. Around 20,000 ears of sweet corn are consumed each year at the festival. We get the corn from a nearby Illinois farm (Maddox Farms), so our corn is fresh, local, and delicious! We use an antique steam engine to cook the corn. The festival promotes green efforts by offering recycling receptacles throughout the festival, and we compost our corncobs! Starring: Henry Thomas, Drew Barrymore, Peter CoyoteA troubled child summons the courage to help a friendly alien escape Earth and return to his home world. 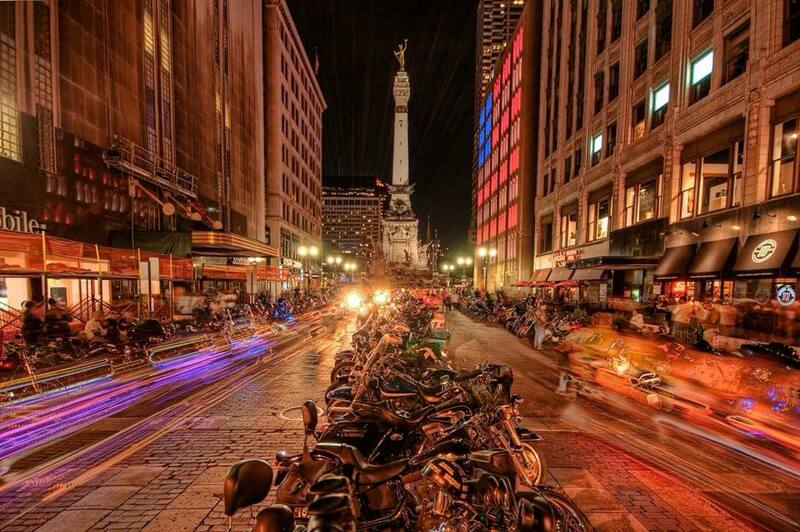 One of the most iconic two-wheel events in the country-Downtown Indy, Inc.’s Motorcycles on Meridian presented by ABATE of Indiana s taking over the city. On Saturday, Aug. 25th 2018 from 12 p.m. to midnight, Monument Circle, South Meridian Street and Georgia Street will be filled with the sound of engine roars and the sight of leather-clad motorcycle riders. Motorcyclists are invited to park on Monument Circle and south Meridian Street. Spectators are invited to walk around and enjoy the flurry of engine roars and fun atmosphere. You’ve waited so patiently! Well…the wait is finally over! 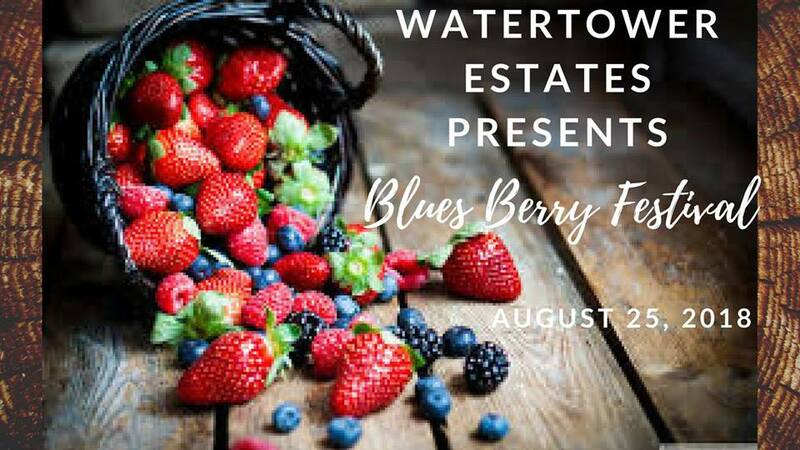 Join WaterTower Estates this Saturday, August 25th for the first ever WaterTower Estates Blues Berry Festival!! They will be rolling out new (and past favorite) berry wines! Live blues music starting at 3pm and delicious food trucks serving up lunch & dinner!! 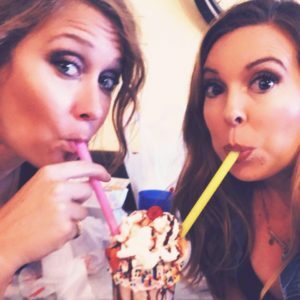 Slushies for both kids & adults! Yoga class? I thought you said “Pour a glass!” Stop by Tap House on your way home from the Farmer’s Market and join them every Saturday morning at 10:30am for Pints & Poses! $10 includes a 30 minute session with our yoga instructor and a drink of your choice. 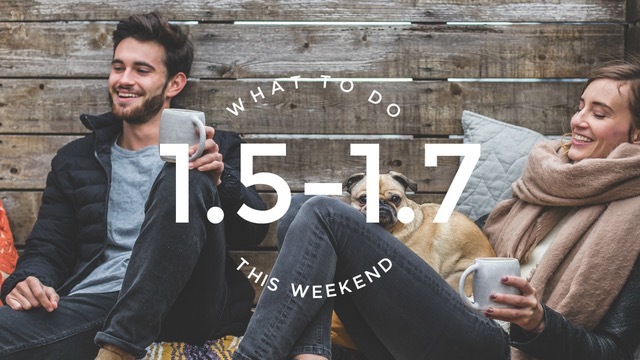 Bring your yoga mat and your drinking pants because your Saturdays just got better. 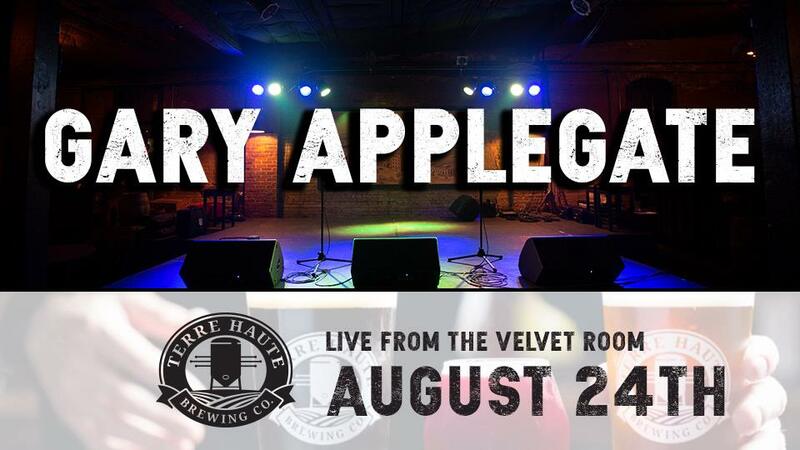 Enjoy an evening of amazing talent at the Terre Haute Brewing Company. 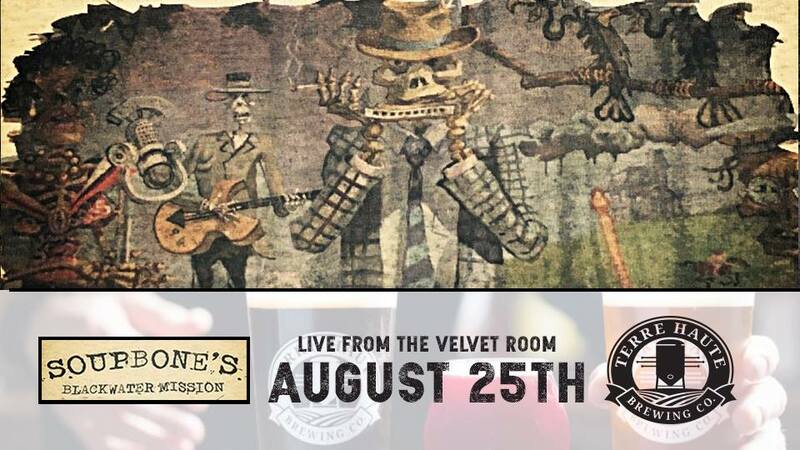 Soupbone’s Blackwater Mission will be playing in the Velvet Room from 9pm-12am. Raise a Glass to Save Some Paws! On Saturday, August 25, Indy’s favorite dog-and-suds event, Ales for Adoptable Tails, will return to historic Indianapolis City Market! Hosted by Tomlinson Tap Room and the Indianapolis City Market, Ales for Adoptable Tails is a benefit for the IndyHumane that brings together some of the Midwest’s greatest brewers for an event like no other. – Help save lives with your support of IndyHumane! 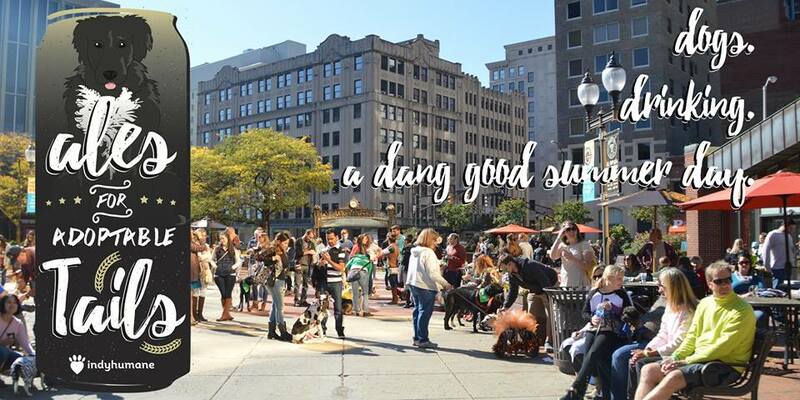 – Black Circle Brewing Co.
– Fountain Square Brewing Co.
Bring your dogs, your friends, and your family to IndyHumane’s Ales for Adoptable Tails! And don’t forget, your ticket purchase benefits IndyHumane and homeless pets in Central Indiana. Ales for Adoptable Tails is the signature event for IndyHumane’s young professionals affinity group, The Indy P.A.A.W. Coalition. Indy P.A.A.W. seeks to bring together like-minded individuals in an effort to raise awareness and support of IndyHumane and the needs of homeless pets across Central Indiana. For more information, visit indyhumane.org/indypaaw or contact indypaaw@indyhumane.org! 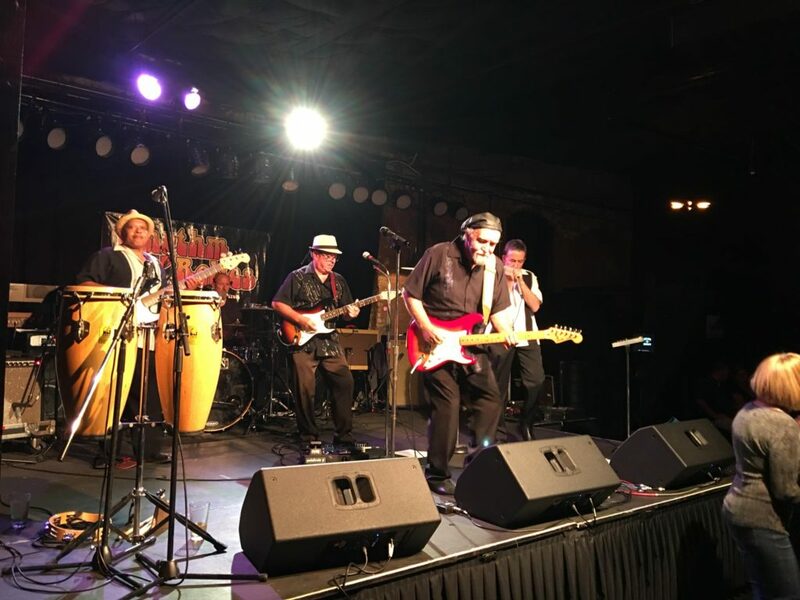 Come join The Rhythm Relics and Charlie’s crew for an evening of music, food, drink, and dancing. It all happens outside in one of the best and biggest beer gardens in the state. This is one show you don’t want to miss! 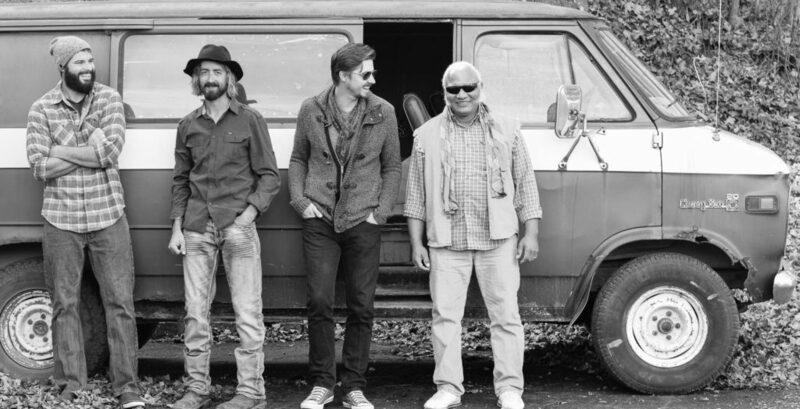 Live music starts at Charlie’s Pub and Grub at 8pm. 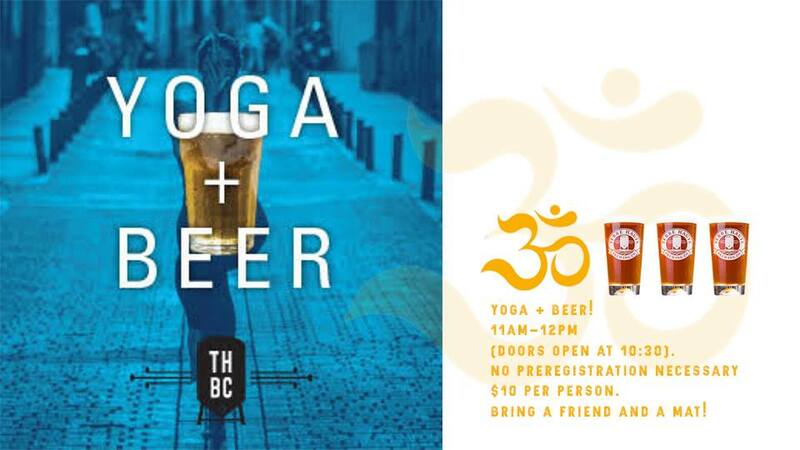 Yoga + Beer is back at the Terre Haute Brewing Company this Saturday from 11am-12pm. And just because it was so dang HOT last year and because it was fun for the family we have Kona Ice South Indy for all ages to enjoy. Live music will be provided by Charlie’s Pocket and we will have a DJ who is a veteran himself entertaining us between the sets. 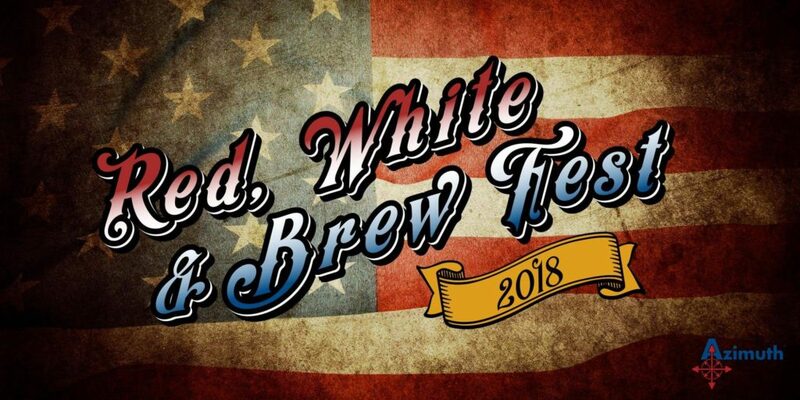 VIP tickets gain early entry 1pm-2pm – BEAT THE CROWD TO THE BREW – receive a FREE commemerative cup, FREE Azimuth T shirt, FREE pours in the commemorative cup from 1pm-6pm. Azimuth mission statement is We connect veterans to services. It’s pretty straight forward. There are thousands of programs and services available to vets and their families, and thousands of vets who need and want help. We build a bridge to connect them. We keep this mission first and foremost in all our efforts. 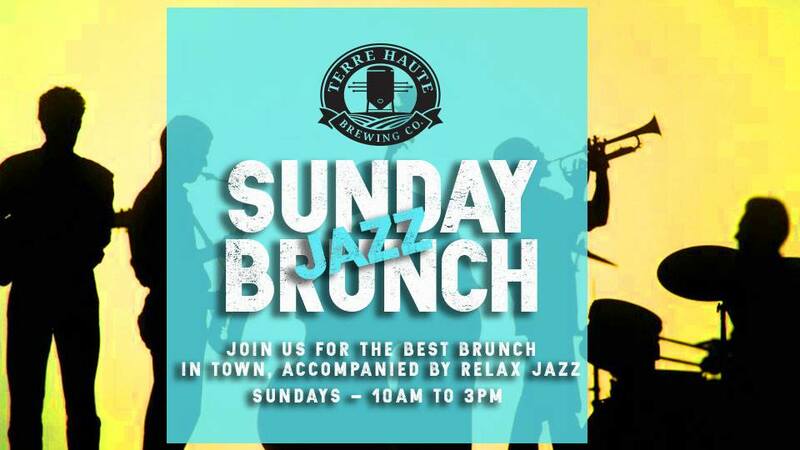 Enjoy light Jazz with your mimosas on Sunday morning at the Terre Haute Brewing Company. Every Sunday from 10am-3pm they serve brunch accompanied by beautiful jazz. Attend Sunday Jazz Brunch at the Brewery! 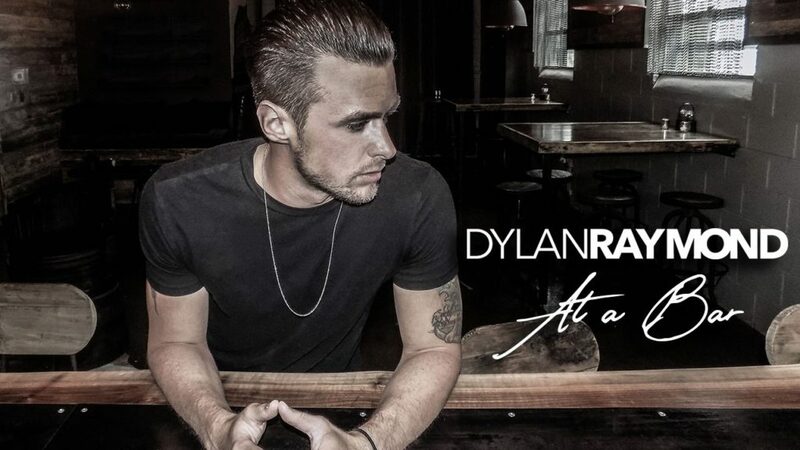 Want to be a part of Dylan Raymond’s music video for “At a Bar”? Invite your friends and family out as they shoot the music video for his current single “At a Bar” at the WaterTower Estates Winery! 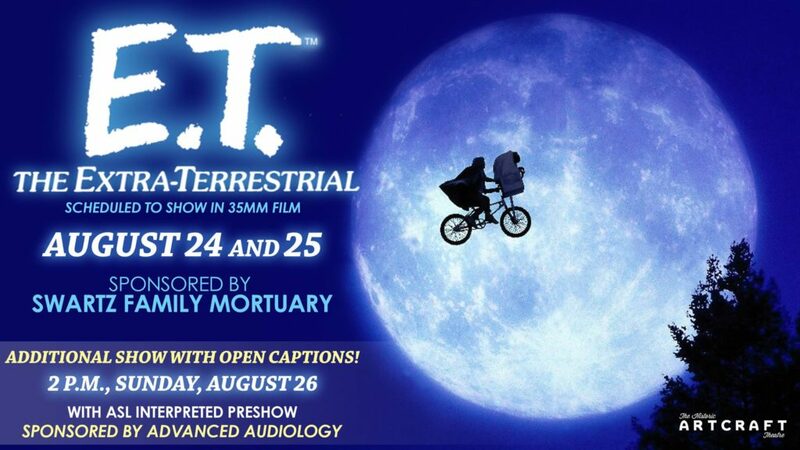 We will be shooting the video promptly at 6:00 PM Eastern at Watertower Estates Winery in Terre Haute, IN on Sunday, August 26th! Everyone needs to arrive by 5:30 PM Eastern so we can discuss how the night will go so everyone is on the same page prior to the video shoot! We should finish shooting at 10:30 PM (subject to change). You may wear what you want for the video, however, we CAN NOT have any logos in the video. If your shirt or hat has a logo on it, we will have to ask you to change to be in the video. Also, our director said to bring yourself a towel just in case you sweat you can wipe yourself off! No children are allowed to be in the shoot due to the song being titled “At a Bar”. We will be having a lot going on in the video and it’s going to be a lot of work to make it top notch, but most of all, we want everyone to have FUN! Be you, have the time of your life and you never know where this video will end up! This shoot is basically a big party at a bar! We are working with VEVO and CMT to get it up once it is finished as well! Redefining movement and stretch, this fun class will give you full body motion, strength and awareness. Created by the owner of Touchstone Wellness Center, Paulina will use techniques from Stott Pilates with yoga and dance sprinkled in to help you shake off and let it go… You’ll sculpt your arms and back, stabilize your lower back and lengthen your spine all with body awareness. 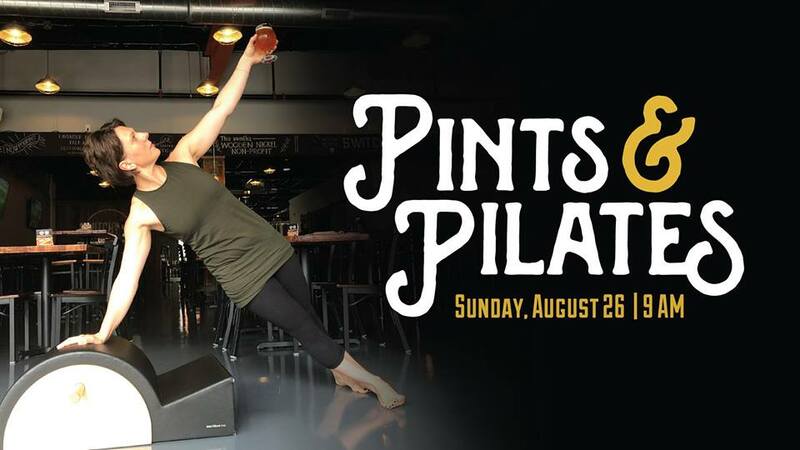 Come stretch with Pints & Pilates at Switchyard Brewing Company at 9am. After class, enjoy a complimentary beverage: mimosa, beermosa or a pint of any Switchyard’s house beers. This class welcomes participants of all experience levels! We encourage you to invite a friend (or two) and experience something new in a fun environment. Please bring a mat and wear comfortable clothing. The class will begin promptly at the listed start time. We suggest arriving at least 10min before the class start time so that you can check in and get settled in for the start of class. 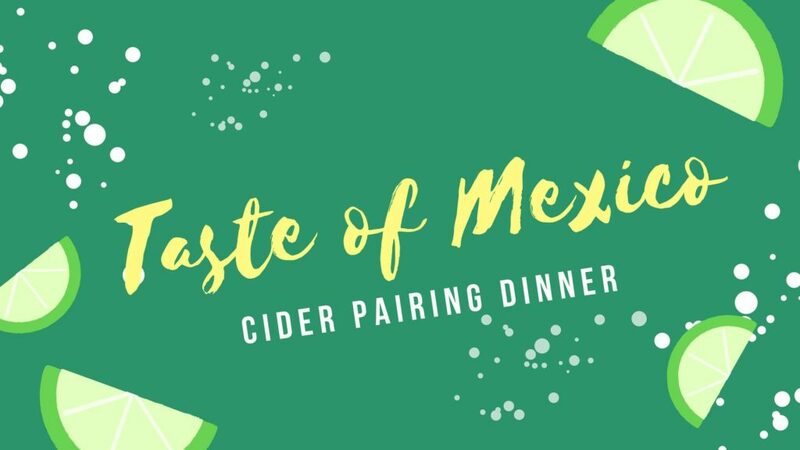 To register visit: http://www.touchstonewellness.com/apps/mindbody/classes/177 Back by popular demand, Ash & elm Cider Co is hosting a Taste of Mexico Pairing Dinner from 6-8pm. Chefs Rachel Hoover and Victor DeLeon will be cooking up Mexican inspired cuisine! Four delicious courses each paired with a delightful Ash and Elm cider. The Chef Team worked alongside our Cidermakers to thoughtfully craft this delightful culinary experience that will make your taste buds sing! This is one collaboration you won’t want to miss.